Moonlight Limousine provides an assortment of limousines to both New Hampshire’s Seacoast and Boston’s North Shore. If you’re headed from Boston to Seacoast, there are a number of luxury leisure transportation services available, from golfing to boating and more. Serving Seabrook, Hampton, Rye, Portsmouth, and more, reserve all your leisure transportation with Moonlight Limousines. Our fleet includes Lincoln town cars, mini vans, passenger vans, and limousines. We also provide transportation from New Hampshire to Boston for major sporting events. Headed out for day on the links. 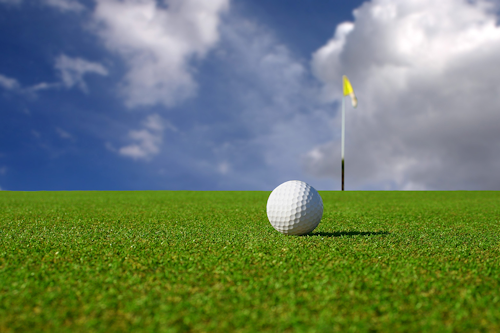 Moonlight Limousine can provide golf transportation throughout New Hampshire’s Seacoast. This is a great option for group transportation with plenty of room for your friends and your clubs. Popular golf courses include Rockingham Country Club in New Market, Pease Golf Course in Portsmouth, Portsmouth Country Club in Greenland, Sagamore Hampton Golf Club in North Hampton, and Breakfast Hill Golf Club in Greenland. Whether you want a day of boating, sailing, canoeing, or fishing in New Hampshire, our Seacoast boating transportation is great way to hit the water. Harbor Cruises are available at the Portsmouth Harbor. For something a little more old school, The Isle of Shoals Steamship Co. provides Victorian-style boat cruises in Portsmouth. Whale watching out of Rye Harbor has also become a popular past time. Popular beaches in the Seacoast include Wallis Sands State Beach in Rye, Hampton Beach in Hampton, and Jenniss State Beach in Rye. Have a fun day at the shops with the help of a chauffeured car service. Shopping spots in the area include Downtown Portsmouth, Fox Run Mall and the Crossing at Fox Run in Newington, and Kittery Outlet Malls in Kittery. Reserve a luxury town car or passenger van for your next shopping run! There are also plenty of educational activities in the area, in fact, the entire region is full of history. Create your own tour with a chartered car service in New Hampshire. Historical landmarks include the USS Albacore in Portsmouth, Fort McClary in Kittery, Portsmouth Harbor Lighthouse, and the John Paul Jones House. Museums include the American Independence Museum in Exeter, Museums of Old York, and the Woodman Institute Museum in Dover. Whether you’re headed on a guided or want to create your own tour in Seacoast, you can book your transportation with Moonlight Limousine. Reserve your next leisure car service in Seacoast with Moonlight Limousine!